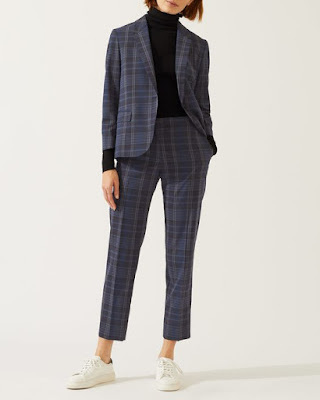 Build your perfect weekday work look with Jigsaws range of timeless Tailoring. 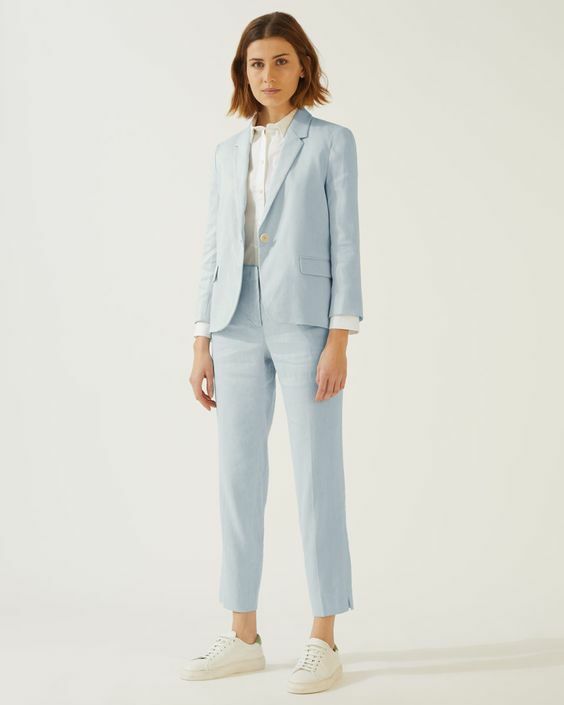 Create the perfect suit by choosing from neat jackets, sleek trousers and effortlessly chic dresses for the perfect capsule work wardrobe. The Paris Fit sleeveless dress is made from a rich wool blend with a slight stretch for ease of movement. An easy workwear update. A brand new shape for Spring Summer 19, this corseted 4-button jacket gently shapes the waist. Double breasted with statement buttons, it is styled with jetted flap pockets, a small chest welt pocket and a contrast melton undercollar. Wear with tailored trousers for a refined sharp look or denim jeans for a more casual approach. Designed in monochrome check, this midi skirt is versatile for both weekend and work wardrobes. Fully lined with a modest slit at the front and a tie belt at the waist, it features a zip fastening at the centreback. Tuck in white shirts or a slim-fit polo neck and wear with ankle boots. Cut a clean figure with the tailored Ponte Trouser. Made in jersey for an easy wear and comfortable range of movement, these are a natural and casual season staple. 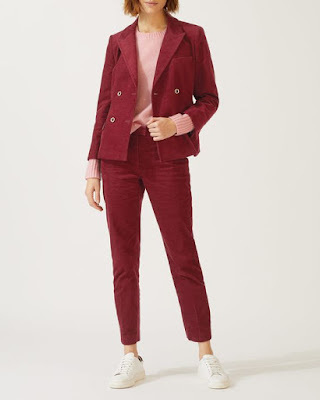 A new shape for Jigsaw this season, this corduroy double breasted jacket is gently shaped at the waist for a corseted look. 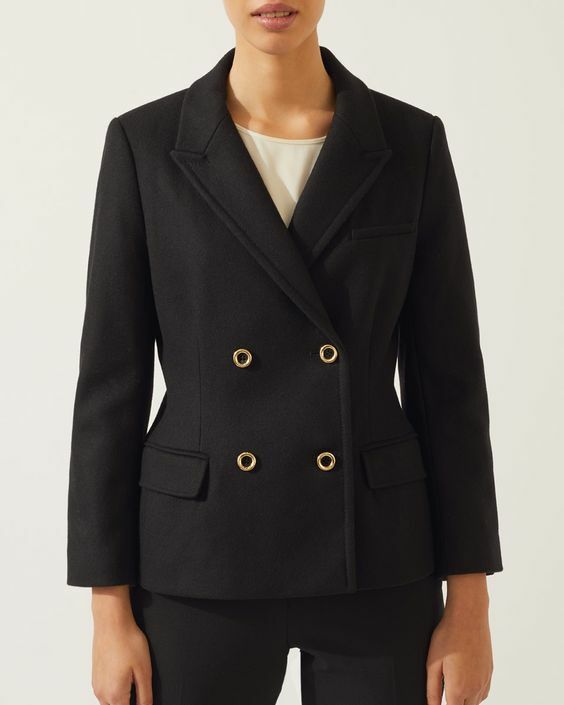 Fastening at the front with four statement buttons, details include jetted flap pockets on the hip and a small chest welt pocket. Wear buttoned up over a shirt with the matching trousers £120.00 (Shop Now) for a new take on the two-piece suit. A new trench coat for Spring Summer 19, this piece is styled in a smart, monochrome check. 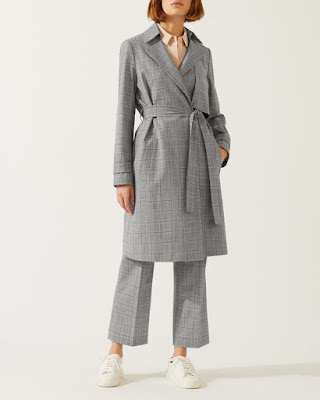 A classic wrap trench design, it is part lined with a self tie belt and belt loops at the side seams. Featuring a storm flap, it is designed with inserted welt pockets and sleeve tabs at the cuff.